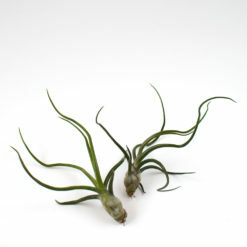 The most majestic of air plants, Tillandsia Xerographica, is also known as the queen of air plants! 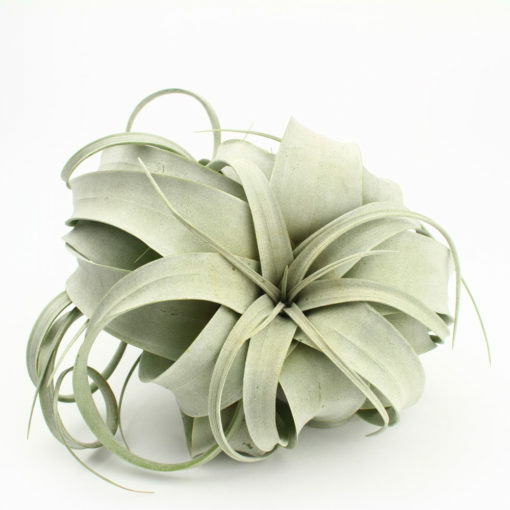 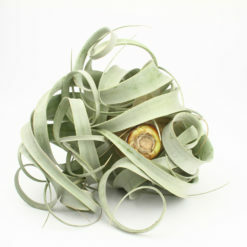 Xerographica air plants are a stunning greenish-silver color with wavy, slightly curled leaves. 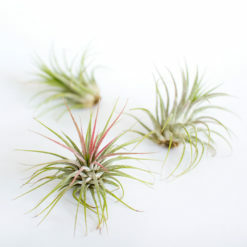 During certain seasons they may develop slight shades of pink and lavender hues. Our xerographica air plants come in three sizes ranging from 4 inches wide to a whopping 16 inches wide! 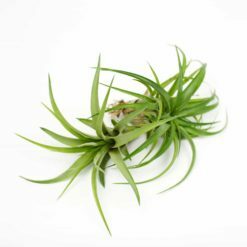 Xerographica makes an incredible plant to display as a table centerpiece with or without additional decorative accessories. 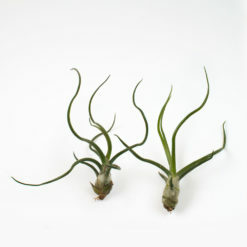 They also look great next to some crystals or natural driftwood. 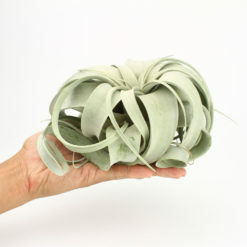 Taking care of air plants is even easier than succulents – just soak them in water once a week and they’ll be happy. 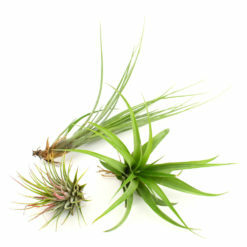 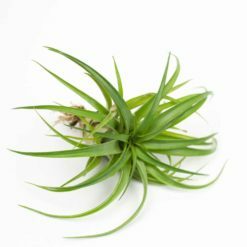 We have a great detailed article to help you keep your air plants healthy and juicy. If you’d like to order more than 6 of any size, please contact us for a volume discount. 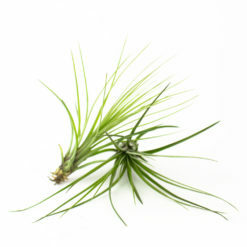 Tillandsia xerographica is a species of bromeliad that is native to southern Mexico, El Salvador, Guatemala and Honduras. It is a slow-growing epiphyte, meaning it doesn’t require any soil to grow – it simply bonds to rocks and trees in nature. 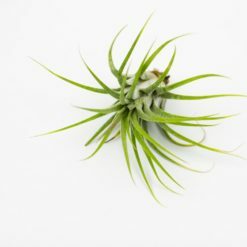 Average temperatures in its natural habitat range from 72°F to 82°F, with around 60% to 70% humidity, so try to keep your air plant in a similar environment. 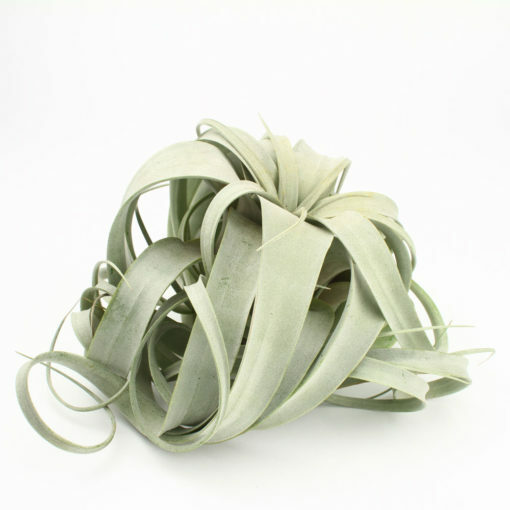 The silvery gray leaves are wide at the base and taper to a point making an attractive, sculptural rosette. 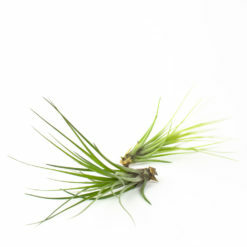 The flower, or inflorescence, grow on a large center stem and range from red to purple and can last for months. 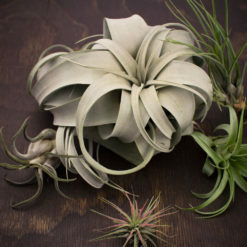 Check out this incredible blooming photo from Wikipedia!